If you have already completed our Baby programme, we will already know about you and your child. However, if you have your child has just joined the Let’s Listen and Talk programme as a toddler, please make sure that you have completed and submitted the Let’s Listen and Talk registration form by following the link in the box below. If you haven’t done so already, please take some time to complete the Let’s Listen and Talk registration form. 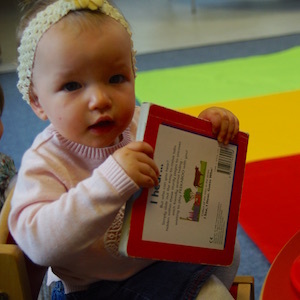 If you have already completed the Baby programme, you do not need to fill-in this form again, instead you could provide us with any updates using the Feedback form at the end of this lesson. Click this link to go to the Let’s Listen and Talk registration form now (but remember to come back and mark this page complete using the ‘Mark Complete’ button to record your progress). We would like to reassure you that you are not alone. We are here to help you, alongside many other parents, support groups, charities and organisations who will be able to help your child reach their full potential. Here at The Elizabeth Foundation, many of us are parents just like you. And we have been lucky enough to have stood alongside thousands of parents of deaf children in over 30 years since our work began. You can keep in touch with us using our special ‘members only’ contact form, or by phone, email or Skype. Or you can use our ‘members only’ forum to ask information questions to other parents on our courses. And we can direct you to other people and groups in your local area who can help. Click on the Mark Complete button (if visible) to record your progress and continue to the next page.